Kill the most aggressive algae blooms with Swim Clear chemicals! Are you facing an aggressive algae bloom in your pool that will not go away? Are you scaring away swimmers with your swamp-like swimming pool? Black algae and other stubborn forms of algae grow deep roots in pool liners and surfaces surrounding swimming pools, making them extremely hard to kill. Water circulation and filter issues are typical causes of algae types that are hard to eradicate. 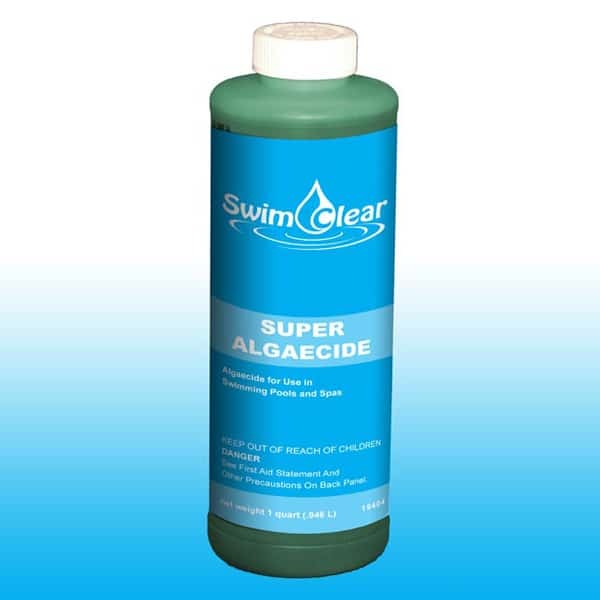 Use this Concentrated Poly-Quat Algaecide to kill and prevent even the most uncompromising algae blooms!